Trumponomics: Is Post-Fordism on Reverse Gear? US President Donald Trump has been speaking with hyperbole, over the last several months, that his ‘trade war’ with China, tough bargains with the European Union as well as the emerging economies (like India) would bring the ‘American glory’ back, besides generating more jobs in his country. More recently, Trump rolled out a red carpet to Apple Inc. and Ford Motor Co. to set up new manufacturing environs in the US and thereby help stimulate the economy. In a social media comment, Trump said Ford’s decision not to import a new crossover vehicle from China implied that the Focus Active could now be manufactured in the US. However, Ford indicated very clearly that it did not have any plans to manufacture the vehicle in the US. It added that the Trump Administration’s 25 per cent levy on China-manufactured vehicles would undermine the profitability of importing it. Just before this, Trump urged Apple Inc. to start building new units in the US after the company alerted that a proposed $200 billion in new tariffs on Chinese imports would raise the price of its products. In a letter sent to the Office of U.S. Trade Representative, Apple said that their “concern with these tariffs is that the U.S. will be hardest hit, and that will result in lower U.S. growth and competitiveness and higher prices for U.S. consumers” (Coppola 2018). A recent Forbes analysis says that electronics and electrical equipment imported by Apple etc are “central to the Trump administration’s new target, with $23.3 billion of IT network gear and peripherals, $13.6 billion circuits and assemblies and $5.19 billion of PCs in the crosshairs” (Forbes, 11 September 2018). A Fortune report says that Trump’s threat “to impose tariffs on virtually everything the country imports from China means everyday items including clothes and shoes in closets across America could be targeted…” Trump said he’s contemplating an extra $267 billion of products from China to tax “on short notice if I want.” Already he proposed tariffs on $200 billion of goods that would activate the cost of household goods from refrigerators to electric irons (Fortune, 12 September 2018). According to Jake Colvin, the Vice President for global trade issues at the National Foreign Trade Council, “You can’t avoid having direct impacts on consumer products, from apple juice to car seats.” He says that “U.S. manufacturers are going to be less competitive vis-a-vis their foreign rivals, whether in Europe or China.” Keith Johnson noted that even more troublesome than the cost of the tariffs—which might range from 10 per cent to 25 per cent on Chinese imports—is “what might happen to the fabric of global commerce. For decades, businesses have built global supply chains to drive down costs and boost productivity.” However, Trump considers the levy “as a way to force Beijing to rebalance the trade relationship between the world’s two largest economies” (Johnson 2018). It may be noted that the US was reported to have registered a trade deficit of as much as $375 billion with China in 2017. Admittedly, the US economy has been facing acute deficit since 1975 as estimated by various agencies. For instance, in 2017 alone, the deficit in goods and services was to the level of $566 billion (imports were estimated to the tune of $2.895 trillion but exports remained at $2.329 trillion). President Trump sought to reduce these widening gaps in trade with his new package of ‘protectionist’ bitter pills. In March 2018, he announced that he would impose a 25 per cent tariff on steel imports and a 10 per cent tariff on aluminum—grim reminders to China and India. The announcement was made a few weeks after he imposed tariffs and quotas on imported solar panels and washing machines. 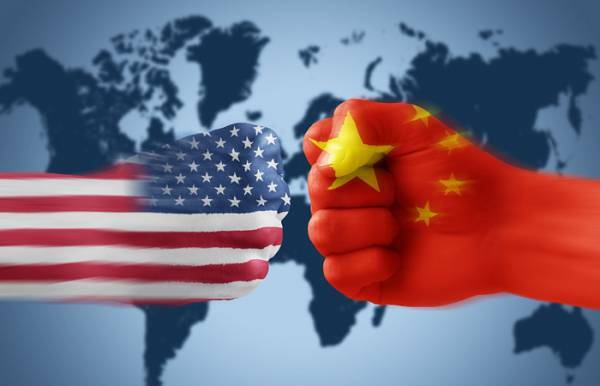 This naturally caused shocks in stock markets even as financial analysts forewarned that this might trigger a trade war (The Balance 25 July 2018; WTO 2017; US Census Bureau 2017). I broadly accept the view that the long postwar boom, from 1945 to 1973, was built upon a certain set of labour control practices, technological mixes, consumption habits, and configuration of political-economic power, and that this configuration can reasonably be called Fordist-Keynesian. The breakup of this system since 1973 has inaugurated a period of rapid change, flux, and uncertainty. Whether or not the new systems of production and marketing, characterized by the more flexible labour processes and markets, of geographical mobility and rapid shifts in consumption practices, warrant the title of a new regime of accumulation, and whether the revival of entrepreneurialism and neo-conservatism, coupled with the cultural turn to postmodernism, warrant the title of a new mode of regulation, is by no means clear (Harvey 1989: 124). marked by a direct confrontation with the rigidities of Fordism. It rests on flexibility with respect to labour processes, labour markets, products, and patterns of consumption. It is characterized by the emergence of entirely new sectors of production, new ways of providing financial services, new markets, and, above all, greatly intensified rates of commercial, technological, and organizational innovation. It has entrained rapid shifts in the patterning of uneven development, both between sectors and between geographical regions, giving rise, for example, to a vast surge in so-called ‘service-sector’ employment as well as to entirely new industrial ensembles in hitherto underdeveloped regions . . . It has also entailed a new round of what I shall call ‘time-space compression’. . . in the capitalist world – the time horizons of both private and public decision-making have shrunk, while satellite communication and declining transport costs have made it increasingly possible to spread those decisions immediately over an ever wider and variegated space (Ibid:147). Thus, the scenario that unfolded explored the possibility of a “decentralization of work and industrial structures besides an increase in the quantity of information/knowledge.” These changes occurred in the background of “an increasing privatization and commercialisation of social life and commodification of information and knowledge.” They were further “accelerated by transnational corporate capitalism operating in the international market.” Accordingly, the ‘neo-Fordism’ or flexible accumulation was seen as a response to the crisis of corporate capitalism and related socio-political problems following the decline of the post-war ‘Fordist-Keynesian’ model of development (Seethi 2001). As neoliberalism emerged as the dominant ideology of the global political and economic order, it began to manifest itself in the policies and programmes across a broad spectrum of countries, institutions and political forces. The globalisation of the world economy has been paralleled by a hysterical campaign of ‘neoliberal triumphalism’ in the West. These trends were perceptible way back in the mid-1970s but became formal policy packages in the 1980s under various labels such as Thatcherism, Reaganomics, neo-conservatism and the New Right Agenda. Since then, the concepts of welfarism, big government, state intervention etc. were viewed from the stand point of ‘minimal state,’ arguing that they lost public favour and charm in the prevailing post-Fordist/flexible accumulation. However, the Keynesian welfare formula (long hailed as a panacea for all crisis of the capitalist economy) has been abandoned to generate multiple options and strategies in dealing with the challenges of globalisation (Ibid; also see Harvey 2005). Even as neoliberalism was claimed to promote greater ‘openness’ to international trade, investment, mobility of capital and goods and services, it went on undermining the bargaining power of working class by reducing wages, cutting down, if not eliminating, social security measures, deunionising workers etc. It favoured downsizing public expenditure for social services, yet it did not oppose government subsidies and tax benefits for business and corporate elites. This new political economy of neoliberalism thus sought deregulation of everything that would reduce profit, including the question of environment and safety on jobs, favoured privatization of state-owned enterprises, goods and services, advocated eliminating the concept of ‘public good’ pressurizing the poorest people in all countries to seek remedies to their basic problems all by themselves (Seethi 2001). In fact, the global financial crisis that began in 2008 (with the US economy undergoing a serious meltdown) taught many lessons of the neoliberal globalisation. The crisis that spread to European Union and elsewhere further reminded that world capitalism cannot march forward with too many grand-narratives of globalisation. The ‘level playing field’ prepared by the global capital (with the slogan of ‘win-win’ strategies of trade games) did not attract many countries in the Global South. Meanwhile, the Arab spring, burgeoning unrest in West Asia and North Africa, the long-years of war in the region, the fall in oil prices, and peoples’ movements in the US, Europe and other Global South countries all tended to impact global commodity trade badly. Neoliberal globalisation naturally created more social dislocations within and across countries which helped strengthen far-right forces. The world also witnessed widening wealth inequalities and intensified global capital accumulation. The US has been grappling with these challenges in a variety of contexts. However, Trump had effectively utilized this ‘spectrum of uncertainties’ to his electoral advantage. Plausibly, he used every crisis within and across countries as an opportunity. During the election campaign, Trump emerged as a ‘tower’ with some ‘significance’ after having made a spate of commitments that he would stand by ‘America-first’ doctrine with no more obligations to international regimes and pacts that his predecessors were holding in high esteem. Thus, one of the first things that Trump did after his takeover was the withdrawal from the Paris Climate Agreement (the US accounts for 20 per cent of the world’s greenhouse gas emissions). Everyone knows that it would be impossible to realise the goal without US participation. What Trump wanted was “a better deal” but Germany, France, and Italy took the position the accord is non-negotiable. China and India too joined in stating they remain committed to the accord. The business world believed Trump’s action would give foreign competitors an advantage in clean energy industries while the US companies would lose government support and subsidies in these industries. Obviously, Trump’s foreign trade policies promote a sort of mercantilism. Through a neo-protectionist regime, he sought to ‘defend’ US industries from foreign competition. Trump’s immediate objective is to reduce the widening US trade deficit. With this end in view, he tried to undermine all multilateral commitments that the US had made with its own allies. For example, while signing an order to withdraw from the Trans-Pacific Partnership, Trump promised to replace it with a series of bilateral agreements. Consequently, Japan and the EU announced their own trade deal and agreed to increase Japanese auto exports to the EU and European food exports to Japan. In August 2017, Trump began renegotiating the North American Free Trade Agreement (NAFTA) with Canada and Mexico. The NAFTA is the world’s largest trade agreement. Trump even threatened to withdraw from NAFTA and blew Mexican imports with a 35 per cent tariff (Amadeo 2018). It may be noted that these are all countries with which the US has huge trade deficits. Trump’s ‘withdrawal’ syndrome is even more pervading in other sectors of the global strategic landscape. In May 2018, Trump announced that he would withdraw the United States from the Iran nuclear deal. Earlier, in October 2017, he took the decision to withdraw from UNESCO. Similarly, the Trump administration decided to withdraw from the UN Human Rights Council in June 2018. Trump also threatened, many times, that the US would exit from the World Trade Organisation. At the domestic level, the Trump administration weakened the Obamacare even without repealing and replacing it. He promised to ensure that the American economy grow by 6 per cent annually to increase tax revenues. Trump’s immigration policies also became notorious. He warned that the US would deport two to three million immigrants in the United States . A major plan of Trump is to build a wall along the 2,000-mile U.S. border with Mexico with an estimated the cost of $10 billion to $20 billion. Besides, Trump sought to assure that open jobs would remain ‘reserved’ for the US workers first. This caused shock waves in the Silicon Valley. His attempts to restrict the H-1B visa programme already created an atmosphere of discontent. Many believe that if the H-1B visa programme is derailed, these companies will be forced to shut down, sooner or later. According to Heather Boushey, Executive Director and chief economist at the Washington Center for Equitable Growth, Trump was “right to focus on the creation of jobs domestically.” The economy was “so broken by years of policymakers looking abroad for the means to prosperity rather than figuring out how to deliver to communities across the country.” However, Boushey says that it was “hard to imagine how ‘America First’ plays out in a world in which America’s largest firms are global, not national. Multinational firms don’t seem to feel particularly allegiant to any country. They spend a great deal of energy finding ways to avoid paying taxes to any national government.” Quoting Gabriel Zucman’s The Hidden Wealth of Nations, he said that about 8 per cent of households’ global financial wealth was “hidden offshore, untaxed by any government. Over the past 40 years, the state has become less able to tax and regulate global capital” (Boushey 2017). Boushey pointed out that the corporate headquarters of the largest American firms were not embedded within the communities that voted for Trump. Christian Fuchs says that under Trump, there is an “overlap of the political elite and the capitalist class in the form of a politician-turned-billionaire. There is a tendency for the blurring of the boundaries between the state and big capital” (Fuchs 2017). Fuchs pointed out that his economic policies were marked by “low-tax economy with massive tax reductions for corporations and the rich, protectionism (e.g. tariffs) and de-globalisation of the US economy, State intervention in favour of big capital (oil/gas/coal industry, health care and pharmaceutical industry, private education, construction, etc., private-public partnerships in infrastructure projects featuring socialized financial risk and private ownership, and logic of privatization and for-profit in health care and education (Ibid). He characterized Trump’s foreign trade as “scepticism of international free trade agreements and scapegoating of other nations for socio-economic problems in the USA.” Fuchs also said that “hyper-individualism is Trumpology’s first element. Trump is a brand. Trump is a strategy. Trump is entertainment. Trump is a spectacle. Trump is politics. Trump is the instrumentalisation of everything surrounding him. Trump is the absolute commodification of the self. Donald Trump made a career by branding and selling himself. His presidential campaign was also focused on Trump as brand, celebrity, billionaire and political leader. As a consequence, Trump likes talking in the first person singular….Trumpology is about possessive individualism, the individual as owner” (Ibid). A British scholar Doug Stokes writes: “Through its ambivalence towards its global security alliances, abrogation of free trade treaties and questioning of globalization, the Trump administration has argued that the United States-led liberal international order is too burdensome…” Drawing on theories of hegemonic leadership, Stokes argues that “the US national interest became globalized in the postwar international system and the US-led liberal order has given it enormous positional advantages. These include the capacity to shape the international preferences of other states, externalize domestic economic crises and construct the kind of international economy it wanted. Despite growing international competition, the US still has essentially the same global interests.” However, “neoliberal globalization has weakened the domestic consent for American leadership among large sections of the American working class, who have rationally rejected continued US commitment to a system that has deepened economic inequality in the US. Trump has ridden the wave of this discontent, and although US elites may wish to return to the status quo after President Trump, these structural issues will remain. Trump may well do irreparable damage to the liberal order and thus, more broadly, to the West. While imperfect, the liberal order is still the ‘best of a bad bunch’ in terms of forms of systemic order on offer, and if the luxury of choice remains after Trump, a new domestic and international social contract is needed to revive US global leadership”(Stokes 2018). Kenneth Rogoff, a Harvard economist and former expert of the IMF says that while Trump sought to strengthen “the US economy’s long-term growth potential in some ways, the other side of the ledger is rather grim… a wide range of studies find that institutions and political culture are the single most important determinants of long-term growth. Recovery from the damage Trump is inflicting on institutions and political culture in the US may take years; if so, the economic costs could be considerable” (The Guardian, 6 August 2018). Anatole Kaletsky observes that”Trump’s presidency is a symptom of an interregnum between economic orders – a period that will result in a new balance between state and market. While his administration’s economic policies are unlikely to provide the right answer, they may at least show the world what not to do” (Kaletsky 2017). Anticipating the potential challenges, Joseph Stiglitz had noted that “there really is no silver lining to the cloud that now hangs over the US and the world.” “The only way Trump will square his promises of higher infrastructure and defense spending with large tax cuts and deficit reduction is a heavy dose of what used to be called voodoo economics.” For him, Trump represented “a re-enactment of the Reagan era’s socially regressive trickle-down economics, but with the addition of two further lethal ingredients – a trade war with China and a loss of access to health care for millions” (Stiglitz 2016). No matter what Trump dreams of the return of the ‘American glory,’ the global scenario is such that it is not all that easy to reverse the accumulation process getting underway single-handedly—to the advantage of the US alone. China, European Union, Japan, Canada, India etc are other leading players whose stakes and responsibilities in the world economy are equally important in the emerging international system. If Trump sets an example of ‘uncertain’ glory, these countries have a legitimate claim to question this unilateral sharing of ‘benefits’ while others are pushed to a condition of ‘share-all-burdens’ imposed by Trumponomics. In any case, the global capital which does not have any particular affinity with any ‘nation’ may not reverse the process of ‘flexible accumulation’ given the long-term pay-offs of the multiple-interdependence. Ford Motors and Apple Inc. know—more than anybody else in this world—that they cannot afford to alienate the global market for the self-glory and brinkmanship of the tenant in the White House. Harvey, David (1989): The Condition of Postmodernity: An Enquiry into the Origins of Cultural Change Cambridge, Massachusetts: Blackwell. Harvey, David (2005): A Brief History of Neoliberalism, Oxford: Oxford University Press. Seethi, K.M. (2001): “Postmodernism, Neoliberalism and Civil Society: A Critique of the Development Strategies in the Era of Globalisation,” Indian Journal of Political Science, No.3, September. Trump, Donald (2007): Trump 101: The Way to Success, Hoboken, NJ: John Wiley & Sons. Trump, Donald (2015): Crippled America: How To Make America Great Again, New York: Threshold Editions.